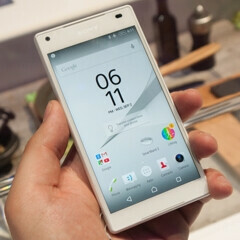 Sony's new high-end smartphones, the Xperia Z5 and the Xperia Z5 Compact, are now seeing a software update primarily aimed at patching the Stagefright exploit. The update measures 281MB in size, comes with build number 32.0.A.6.152, and is now rolling out in various corners of the world to all variants of the phone. While Sony has yet to post a full changelog, multiple users took to XDA-Developers and Reddit to report that this new update brings along several noteworthy improvements. For instance, the camera is said to load much faster now, the fingerprint sensor is said to be more accurate, and the overall performance of the device is allegedly improved. If you're already rocking the Sony Xperia Z5 or the Xperia Z5 Compact, your phone should be getting this new update shortly. It appears that checking for updates through Sony's PC app is more efficient than waiting for the OTA update to reach your device. Just recently, the international version of the Sony Xperia Z5 Compact has quietly landed in the US through Amazon, where the phone is available at about $430 unlocked. This version, too, will probably get this new update in the following weeks. Wow combat medic, thanks for the video. This is some serious bendgate on the 6P. That's the weakest phone I've ever seen, it didn't do any of the tests well. I hope the 5X I've ordered does much better. Apparently the 5X is better built and easier to fix according to iFixit... however the battery life is terrible. The phone is available as low as $530, not $430. If it was ever at $430, it was one overly-aggressive seller and that's gone now. buccob, I've read some reviews where they said the battery life was bad. I believe it was TechCrunch. But Dutch Tweakers, Arstechnica and others claimed it was fine, not exceptional, but fine.